Ladies and gentlemen! Welcome to the show! 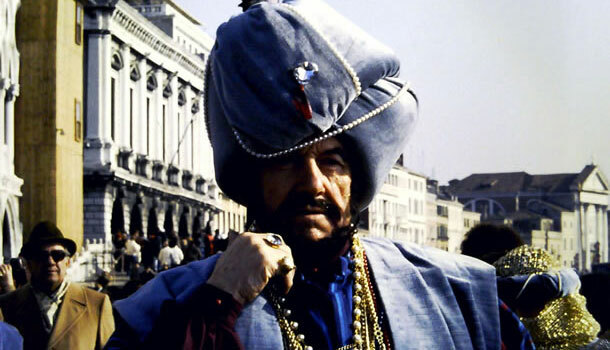 It’s carnival time and you are in Venice, the best theatre on earth where anybody can play the part they’ve always dreamt of. The word carnival comes from Latin “ Carnem levare” which means “ remove meat from your diet”, but another interpretation comes from “carne vale “ which means “farewell to the pleasure of the flesh”, a sort of letting yourself go before Lent starts. 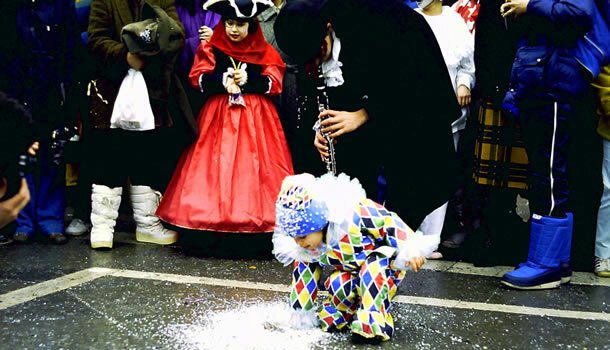 While it is an integral part of the Christian calendar, particularly in Catholic countries, some carnival traditions date back to pagan times. The ancient Roman festival of Saturnalia, held in honour of Saturn, the father of Rome’s leading god Jupiter or Jove and the wild and mystical festival of Bacchanalia, in honour of the Roman god Bacchus (the god of wine), may possibly have been absorbed into the Italian carnival. 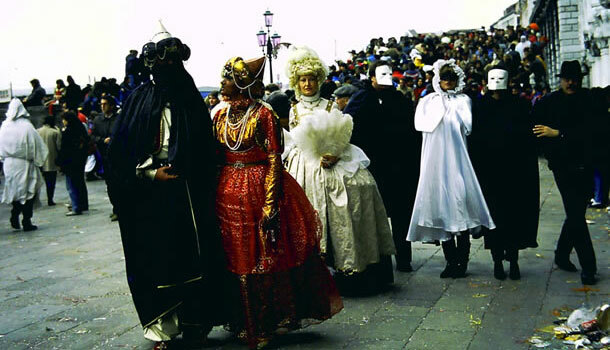 However, carnival parades and masked balls in Italy can trace their origins back to medieval times – the Venice carnival was first recorded in 1268. 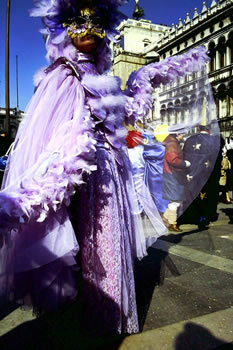 The event starts around two weeks before Ash Wednesday, ending on Shrove Tuesday or Mardi Gras. 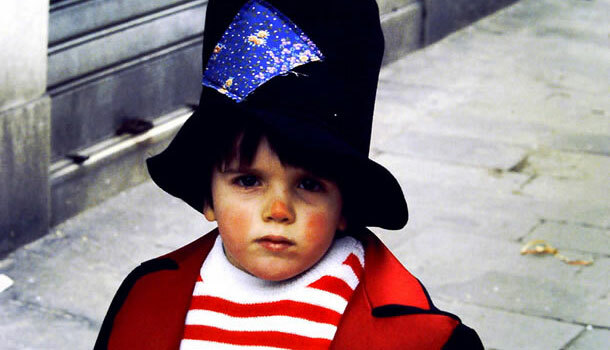 Its subversive nature is reflected in Italy’s many laws over the past several centuries attempting to restrict celebrations. 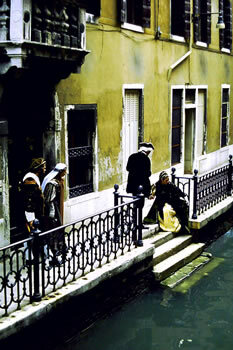 Venice in the eighteenth century, was the pleasure centre for the whole of Europe and the carnival of Venice was, for a long time, the most famous carnival in the known world. From Italy, carnival traditions initially spread to the catholic nations Spain, Portugal, France and only later to the Rhineland in Germany. The catholic colonisation did the rest, taking this tradition to the new continent, America. 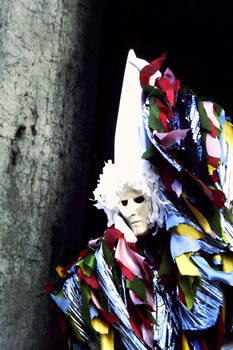 After the city was sold by Napoleon to the Austrians in 1798, carnival celebrations in Venice were halted for many years, but the tradition survived on the neighbouring islands of Murano e Burano and were revived in the late twentieth century, making it the most beautiful and sophisticated carnival in the world. 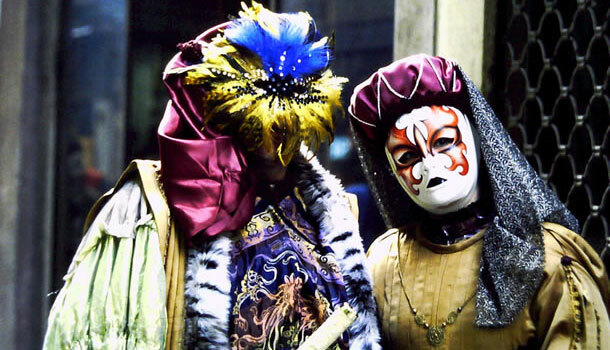 There is no carnival without a mask, and although there is an amazing variety of shops that sell masks in every shape and form, traditionally there are only five types of Venetian masks. The most popular mask, covers the whole face, has a square jaw line often pointed and tilted upwards preventing the wearer from talking, eating and drinking easily, unless the mask is removed, This way the wearer’s anonymity is preserved. Originally from France but adopted by Venice, this mask brings out the beauty of feminine features with a perfect oval shape and normally is completed with a veil. 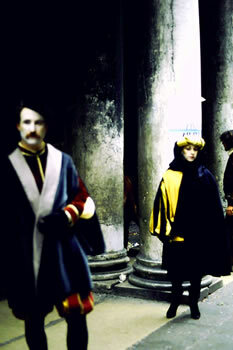 The volto means face whereas larva, comes from the latin “ghost”, is mainly white and the simplest Venetian mask of all and is normally worn with a three-cornered hat. This is a half mask often highly decorated with gold, silver, crystals and feathers attached. 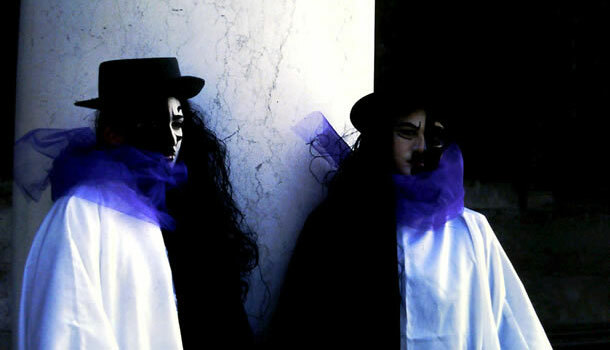 It is held up to the face with a baton or tied on with ribbon as are most of the Venetian masks. 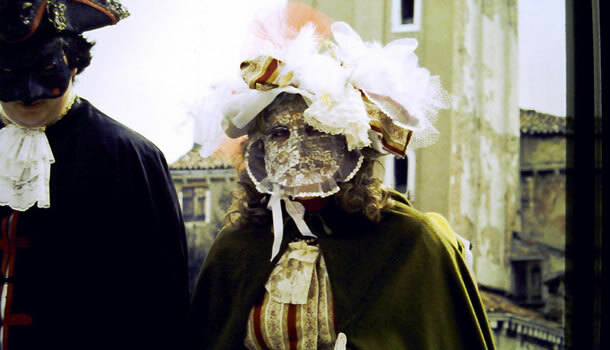 The mask had been designed for Columbina, the young character from the commedia dell’ arte, so the actress could show off part of her beautiful face. 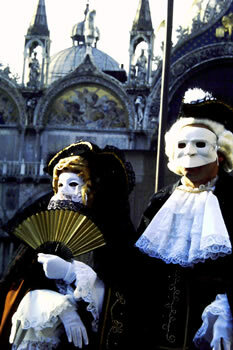 One of the most recognisable and bizarre Venetian masks because of its long nose. The design is associated with the macabre history of the French physician Charles de Lorne who adopted the mask while treating his plague victims. 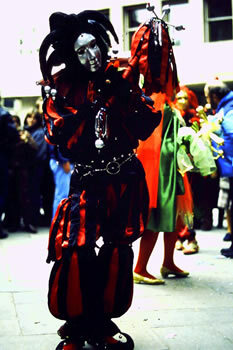 The popularity of this mask during carnival can be seen as a “memento mori”, another way, like many other activities during carnival, to exorcise the reality of death. Here we are again ladies and gentlemen ! Are you ready yet? Have you chosen your mask and your costume ? Now let’s leave behind the hordes of tourist in San Marco square and stroll down the calles like a true Venetian, walk over the Rialto bridge to do some shopping, visit the amazing fish market and stop for a “cichetto” ( a little snack) all’ Ostaria Antico Dolo in Ruga Vecchia San Giovanni, better known as Ruga rialto, where signor Ruffini will be happy to entertain you with his amazing home cooking and excellent choice of Prosecco and other wines from all over the region. Whether you decide to rejoin the crowd in the open salotto of San Marco square, or mix with the glitterati at the Café Florian, or prepare for the soiree with the “ballo in maschera” ( the masked ball) at La Fenice or any other palazzos, remember, “Carne vale”! Dressed up or not, with our without a mask, forget all your troubles , your pains and sorrows, let yourself go, and be what you want to be, your appearance is all you need to star in the best reality show on earth. What ? You missed it this year? How could you let it pass you by? Oh well ! The beauty of Venice is so amazing, that, in whatever season you choose to go, the city’s spectacle will never disappoint you.